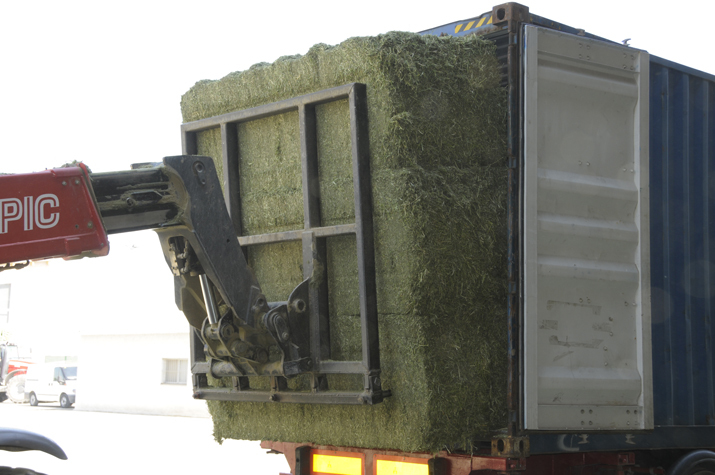 We produce bales between 400 and 700 kg of long and short fiber of dehydrated alfalfa. Ours bales are packed with polyester or iron wire, according to your demand and needs. For the high quality and standardization of the dried forages, this presentation it is the most suitable for the exportation market. The packaging methods used in this presentation are also the most indicates for transportation and long term storage, making it the most cost effectible product for the exportation market. The used method of dehydration preserves the nutritional y energetic values of the alfalfa, making it the most appropriate for feeding cattle, camels, horses, etc. Our standardized dehydrated alfalfa bales provides a large amount of protein (18%) with a humidity level of 12% and the long fiber stimulates rumination, what make it the most suitable for feed high performance animals.